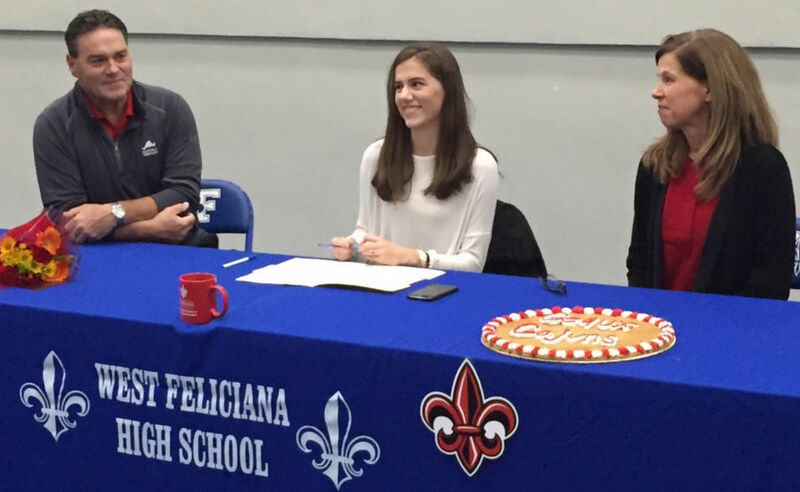 West Feliciana High School Saints runner Kelly Goff recently signed a National Letter of Intent to run for the University of Louisiana at Lafayette. She has earned a cross-country and track-and-field scholarship and will compete as a Ragin' Cajun next year. She is the daughter of Randy and Laurie Goff.